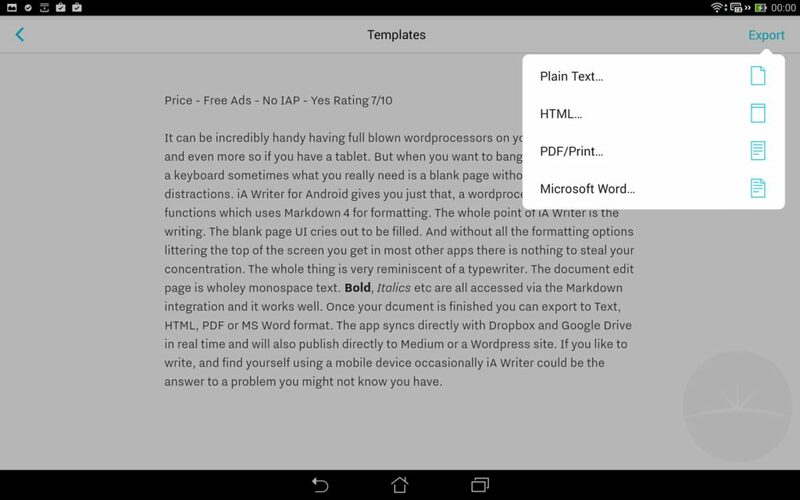 It can be incredibly handy having full blown wordprocessors on your mobile phone, and even more so if you have a tablet. But when you want to bang a few words out on a keyboard sometimes what you really need is a blank page without all the distractions. 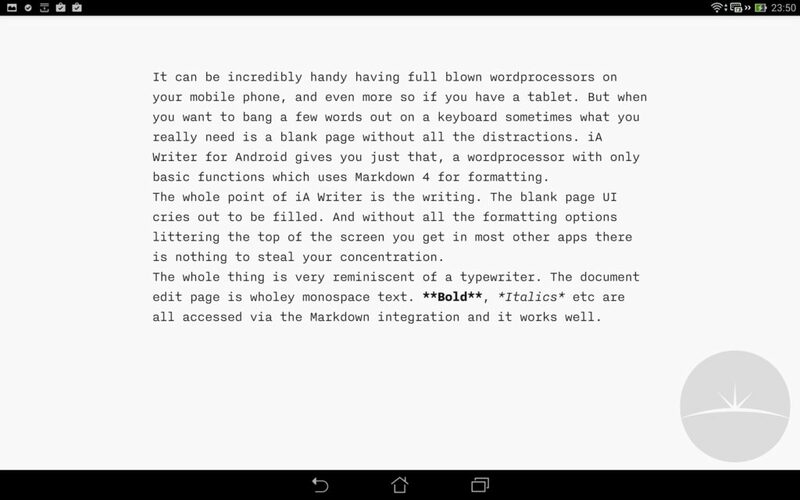 iA Writer for Android gives you just that, a wordprocessor with only basic functions which uses Markdown 4 for formatting. The whole point of iA Writer is the writing. The blank page UI cries out to be filled. And without all the formatting options littering the top of the screen you get in most other apps there is nothing to steal your concentration. The whole thing is very reminiscent of a typewriter. The document edit page is wholey monospace text. 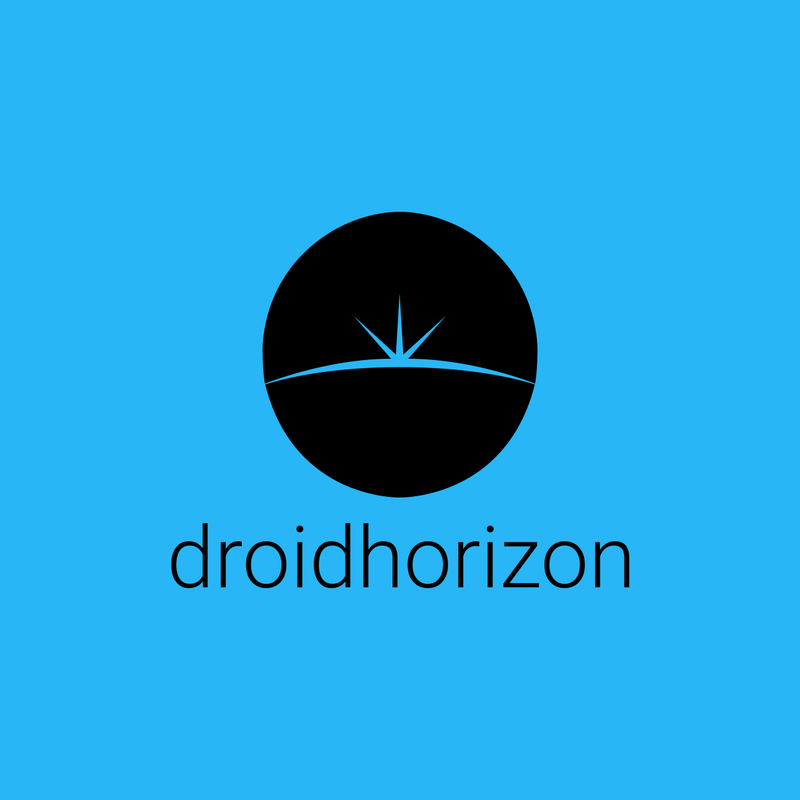 **Bold**, *Italics* etc are all accessed via the Markdown integration and it works well. Once your dcument is finished you can export to Text, HTML, PDF or MS Word format. The app syncs directly with Dropbox and Google Drive in real time and will also publish directly to Medium or a WordPress site. 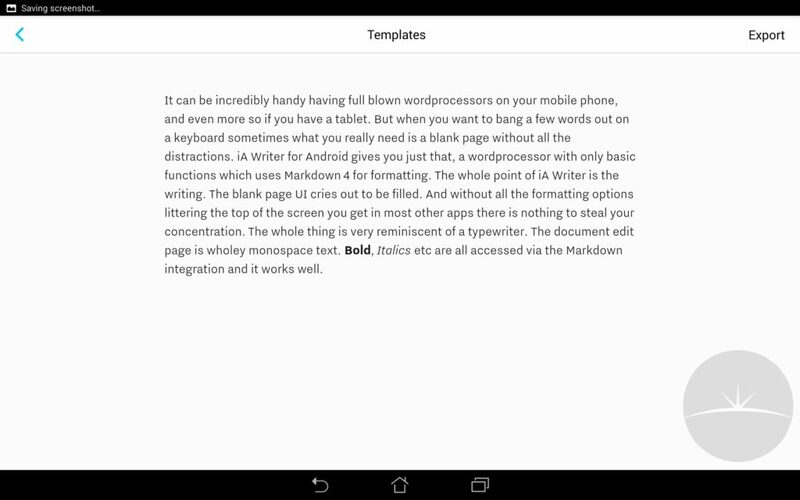 If you like to write, and find yourself using a mobile device occasionally iA Writer could be the answer to a problem you might not know you have.